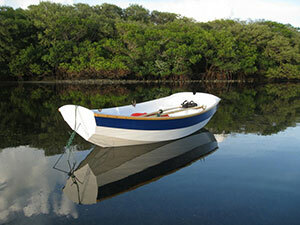 Our fleet is expanding to include small sailing craft suitable for the shores of the Blue Hill peninsula or the many fresh water lakes and ponds nearby. Rental includes pram, two oars and sail rig. The Nutshell is easy to row, even against a steep harbor chop, due to it’s deep, V-shaped “chest”, and stays dry because of her strong sheer. 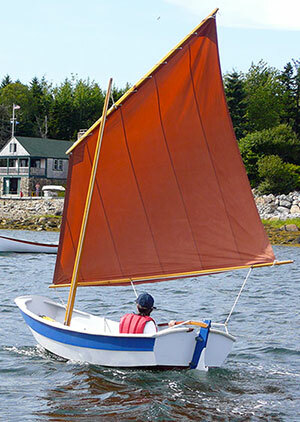 Also a lovely sailing option for 1 adult and small child. 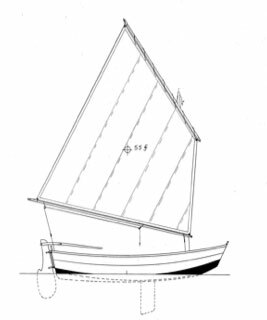 Draft: 5" & 1' 9"
For customers who are interested, a nutshell pram building kit can be purchased at the Wooden Boat store.